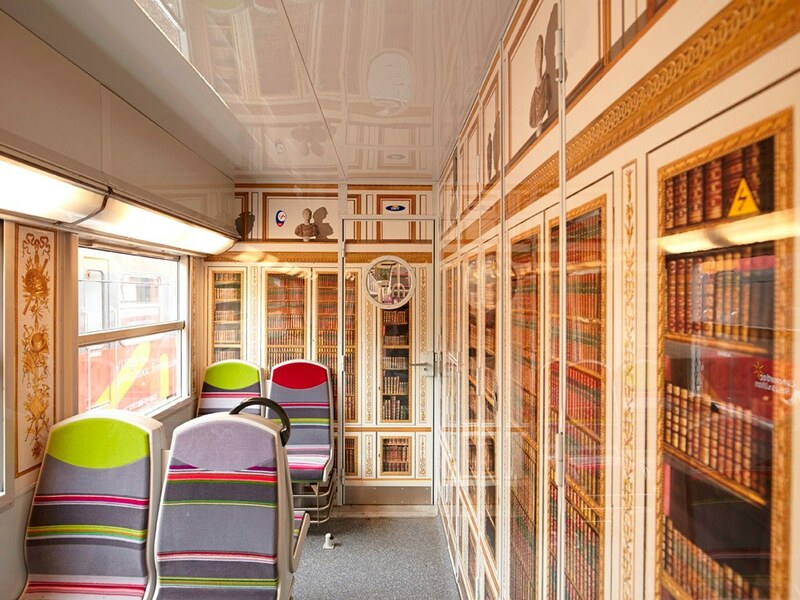 France’s national railway company has upgraded the trains that shuttle visitors from Paris to Versailles with décor that recreates the opulent palace of Louis XVI with images of marble columns, ceiling frescoes and palace gardens. 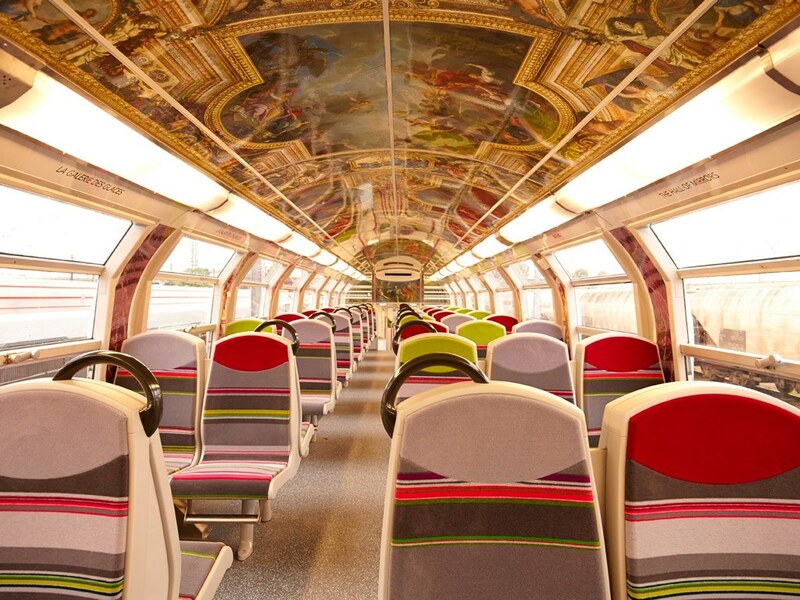 To get passengers pumped for their visit to the Palace of Versailles, the suburban RER C train line has designed five trains with trompe-l’oeil images made with high-tech plastic film that were customized to fit the curves and angles of the cars. From the palace’s dazzling Hall of Mirrors, sprawling manicured gardens, to the Louis XVI’s royal library and ceiling frescoes, the RER C will become a mobile version of the palace beginning May 25. The makeover required 10 full-time employees including an engineer, quality control supervisor and eight technical specialists to apply the 941 panels of film to the interior of the trains with painstaking care and precision. The five Versailles trains stop at 36 stations along the RER C line, which runs through five departments: Paris, Hauts-de-Seine, Val-de-Marne, Essonne and Yvelines. The RER C carries about 50,000 tourists a day, representing 10 percent of the passengers of the entire line. In 2015, 7.43 million people visited the Versailles estates and more than 10 million toured the Grand Parc. The majority of visitors to the palace and the Trianon — 80 percent — were from outside France, while the majority of visitors to the gardens — also 80 percent — were made up of locals from the Paris region.